SolAero Technologies, a provider of high efficiency solar cells and panels for satellite and aerospace applications, has announced that it has delivered its high performance, lightweight solar cell technology to the U.S. 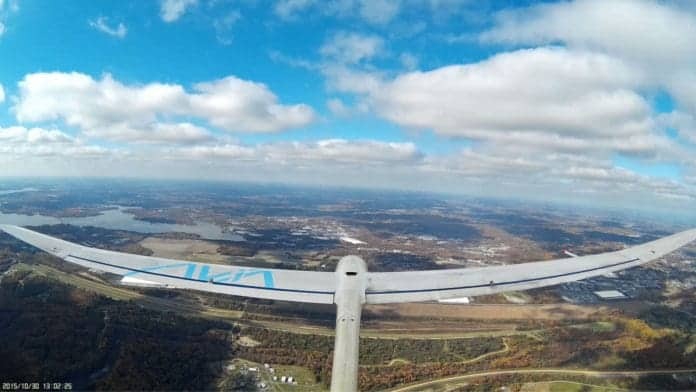 Naval Research Laboratory (NRL) to power its Solar-Soaring UAV demonstrator. SolAero’s specially designed UAV-TJ high efficiency solar cells will convert solar radiation directly into electricity in order to provide power for extended duration flight, to charge the vehicles’ batteries for overnight flight and to enable the use of payloads that consume too much power for batteries alone. The solar cells were integrated into flexible sheets and ultimately onto the vehicle wing tips, which will generate approximately 40W of power for the multi-flight demonstrations. Two additional solar sheets that will generate ~100W were also delivered for co-cured integration by NRL into the carbon fiber wings of other demonstrator vehicles.